New Media Society & Lajevardi Foundation cordially invite you to join Bodiless Heads on Tuesday Oct 18, at 7:00 pm; For the 29th session of New Media Talk Series, Setareh Fatehi & Shahrzad Irannejad will share with us their latest collaborative project at Lajevardi Foundation, followed by a Q&A. 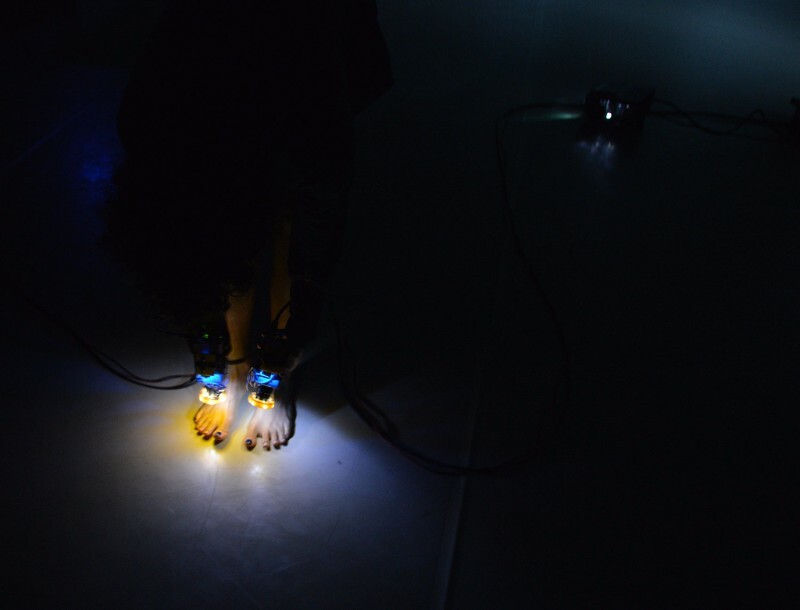 Bodiless Heads is an ongoing artistic research project led by choreographer and performance artist Setareh Fatehi. Bodiless Heads is a metaphor, a hypothesis, an imaginary state that relates to the evasive, multi-layered cultures of courtesy evolved over time particularly, but not exclusively, within Iran’s [cultural] borders. Setareh’s collaboration with Shahrzad Irannejad, researcher in history of humoral medicine in the Islamicate world, is based on their mutual desire to look at the story of body against their shared cultural background. Their current project is supported by Arts Cabinet a charity based in the UK with the mission to advance education in the arts and culture. To address the [absence of the] body against their cultural background, Setareh and Shahrzad use the term Bodilessness. This signifier is meant to encompass the various aspects of the undefined, undelineated presence of the body, the deliberate absence of physicality, which might leave it open to interpretation. Setareh’s engagement with the body as a tool for creating thoughts and Shahrzad’s preoccupation with the localization of mental faculties in the physical brain is the point of contact between the artist’s practice and the researcher’s field of enquiry. Setareh and Shahrzad wish to share their questions and concerns with you from the very beginning of this project. Your lived experiences, your studies and knowledge and your theoretical and methodological insights can help them remain relevant to their cultural context as they navigate through the resources and bodies that they are interacting with. Setareh Fatehi is a freelance artist/choreographer, teacher, performer and currently a co-director of Stichting (foundation) TUSSEN ruimte which facilitates artistic exchange between Iran and the Netherlands. She holds a BA of choreography from Amsterdam. Her fascination lies in the history of all the bodies that have affected or even formed her today’s body: whether it be her grandmother’s body, her dance teacher’s, the mountain climber body of her father, the sick body of her grandfather, de/re-formed bodies of her family with all sort of plastic surgeries, the body of her Barbies, or the technologized bodies of almost everyone around her. Shahrzad Irannejad is a researcher in history of humoral medicine in the Islamicate world. Her research follows two broad paths: first, humoral medicine in Iran in relation to its cultural context; and second, the history of humoral medicine in the Islamicate world in relation to its Hellenic roots. She is currently working on her PhD thesis entitled “Localization of the Avicennean inner senses in a Hippocratic body” in Mainz, Germany. Basically, she works on Hellenic ideas regarding mental functions and their localization in the physical brain that were transferred to the medieval Islamicate world as manifested in the works of Avicenna. Her current research on the concept of the Inner Senses is partly fueled by her fascination with the mind-body question, a question that was historically initiated by percolation of Avicenna’s ideas to the Latin west. Arts Cabinet is a charity whose mission is to promote knowledge of global contemporary art practices and awareness of the role art plays in shaping our understanding of the world. They enable encounters between artists and researchers to create an active resource of ideas and knowledge, and to generate learning opportunities for an eclectic international audience. Arts cabinet works with a rich community of practice to disseminate knowledge in ways accessible to non-specialists. The session is open to public, free entrance and it will be held in Persian.